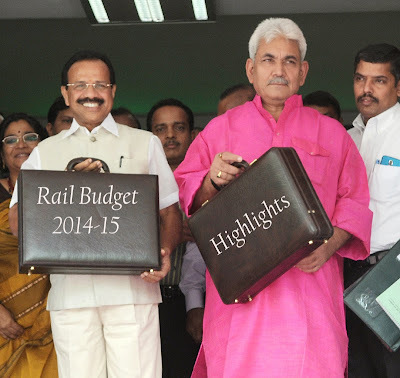 Here are the main Highlights of Railway Budget 2014-15 presented by Union Railway minister Sadananda Gowda in Lok Sabha today(08 July 2014) at 12.00Hrs. 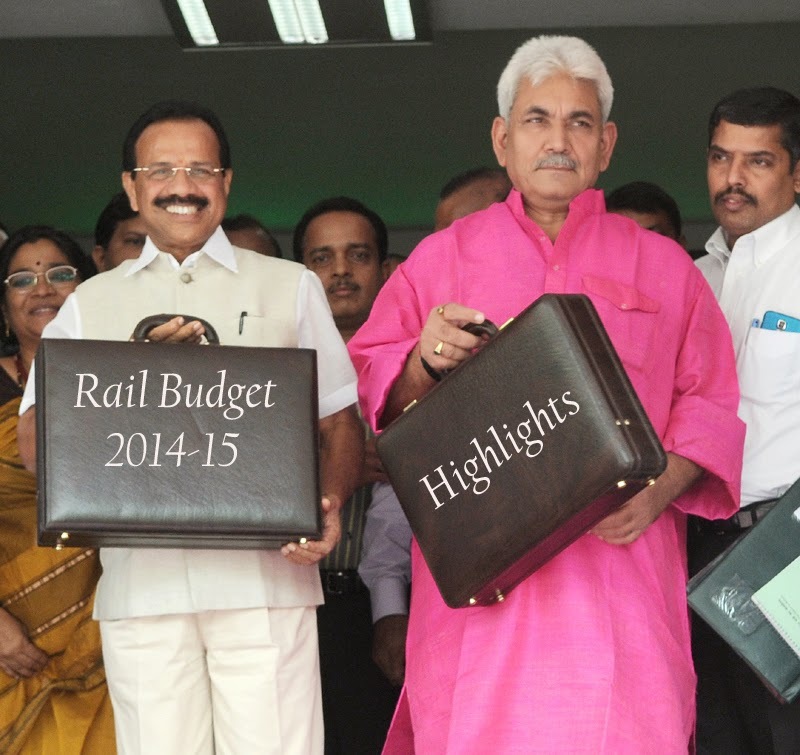 Railway Reservation System will be revamped into Next Generation e-Ticketing System. Ticket booking through mobile phones and through Post Offices will be popularized.